In 1997, label boss John Stedman had cut an album on the Butler Twins. 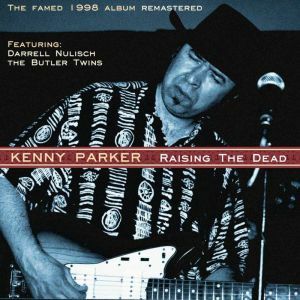 Playing lead guitar was non other than Kenny Parker. And what a storming player ­ inventive, rocking solos that perfectly complemented the songs, the singing and the groove. Kenny and The Twins got to England for some touring and Kenny and John worked out the deal for this album which was cut in Detroit. Darrell Nulisch was brought in as special guest and more than lived up to his reputation with some terrific harp playing and singing. The Twins also guested ­ note Clarence's deep harmonica styling. Special note also for Kenny's fine songwriting and original instrumentals. Kenny will no doubt make more albums but this album stands as one of those 'moments in time' that makes the record biz such a fascinating game.